Surfshark Lets You Swim in Scary Internet Waters with Freedom, Privacy and Safety. 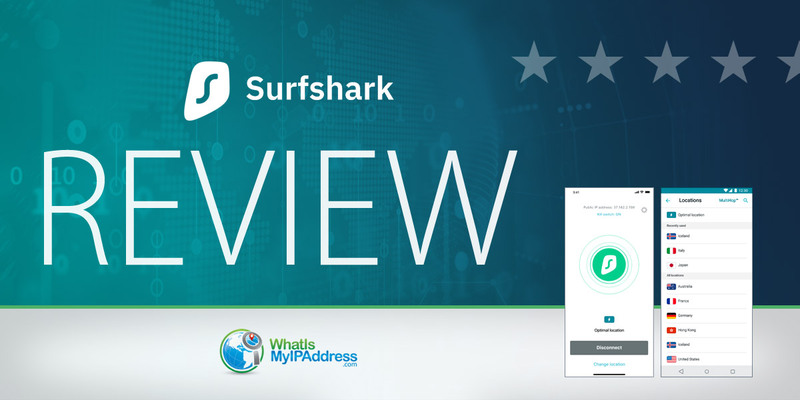 Surfshark is a relatively new VPN in the marketplace, but they have proven to provide top-notch services and have the potential to become your favorite VPN provider. They are headquartered in the British Virgin Islands (BVI), which doesn't have strict data retention laws that VPNs to follow. While BVI has control over its internal privacy decisions, it does lie under the jurisdiction of the U.K. However, a BVI-based VPN is safer than a VPN based in one of the so-called 14 Eye countries. Surfshark can help you unblock Netflix on several servers, including a few in the U.S. and the U.K. It also supports peer-to-peer networking (P2P), which means you can torrent your favorite movies and shows as well. Surfshark offers connection speeds that are good for streaming, torrenting, and gaming. It gives you several VPN protocol options, including OpenVPN and IKEv2, which are very secure. The best thing about Surfshark is that it allows you connect as many devices as you like with one subscription. While other VPNs are typically limited to about five devices, Surfshark allows a customer to connect as many devices as they want. Surfshark has servers in 50 countries, which makes for a decent-sized network. They have apps for all major platforms and configuration options for several others. Surfshark offers multi-hop connections that allows you to form a double VPN chain for enhanced security. Surfshark helps you bypass geographic/IP address-based blocks wherever you might be. Thanks to their IP-masking technologies, they can bypass even the Great Firewall of China. Here's more good news about Surfshark. They're one of the few VPNs who have a live chat system for customers that's active 24/7. Using their live chat, you'll get replys to questions within a minute. They also have an email address and a ticketing system, if for some reason live chat is not for you. You can email them at [email protected] or submit your request through their form and you'll generally get a reply within a few hours. They are also available on social media channels, including Facebook and Twitter. Surfshark has a support section that contains answers to the common questions related to billing, account setup, connection, setup guides, and other topics. If you don't find what you're looking for, you can open a support ticket. Surfshark offers three plans — month-to-month, one-year, and a 2-year plan. The month-to-month cost is above average, but you can pay less per month by buying their two-year subscription. There is a 30-day money back guarantee on all plans. However, before they will issue a refund, they'll try to work with you to solve the problem or issue you're facing. Payment can be made using credit cards, PayPal, and cryptocurrencies. If you're a privacy enthusiast, you might want to use cryptocurrency to make your VPN purchase more anonymous. Payments through the Google Play store or iTunes store will not be refunded. Surfshark has software/apps for PCs, Macs, iPhones, Androids, Amazon Fire TV and Linux. You can download the desktop apps from their website. The mobile and Fire TV apps can be downloaded and installed from their respective app stores. Surfshark also offers browser plugins for Chrome and Firefox that are easy to install and use. Just keep in mind that they secure only your activity for that browser traffic. Activity on your other apps and any torrents won't be protected by the Surfshark. To get all-around protection, you need to install the VPN app or software. Surfshark (the apps, but not the plug-ins) come with a built-in kill switch that will terminate your internet connection if the VPN connection drops. This helps prevents the likelihood of suddenly finding yourself on the internet without Surfshark protection. Surfshark also comes with a "multi-hop" feature that lets you chain two of their VPN servers for double the privacy. As far as access goes, you may know that Netflix sometimes blocks accounts of users, based on their location and IP address. Surfshark has several servers that will help you unblock Netflix, so you can use your account when you're away from home. And that's not all—Surfshark bypasses the Great Firewall of China as well. This isn't something most VPN companies can do. However, make sure you install the VPN on your device before you land in China, because once you land there, you probably won't be able to install Surfshark. They also have a warrant canary on their website, a feature that lets you know if a VPN provider has been served with a secret subpoena from the government. The canary on Surfshark means that they have never received any government warrants related to disclosing their private information. The presence is still seen as a positive sign, but it doesn't mean that the company someday will not hand over data in some circumstance. Surfshark is a relatively new VPN with the potential to stand among the big boys of the industry. It offers good speeds and military-grade, AES 256-bit encryption. They offer the best security protocols—OpenVPN and IKEv2. Surfshark offers active customer support that's available 24/7. If you're stuck somewhere, you can contact their live chat support and you'll get an answer within a minute. With their easy-to-use VPN, combined with the security and privacy features mentioned above, Surfshark could easily become your preferred VPN provider.